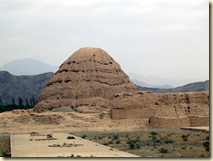 The Imperial Pyramids of- China? Visitors to the Helan Mountains in Yinchuan, China may have noticed strange, pyramid-shaped structures rising from the earth. 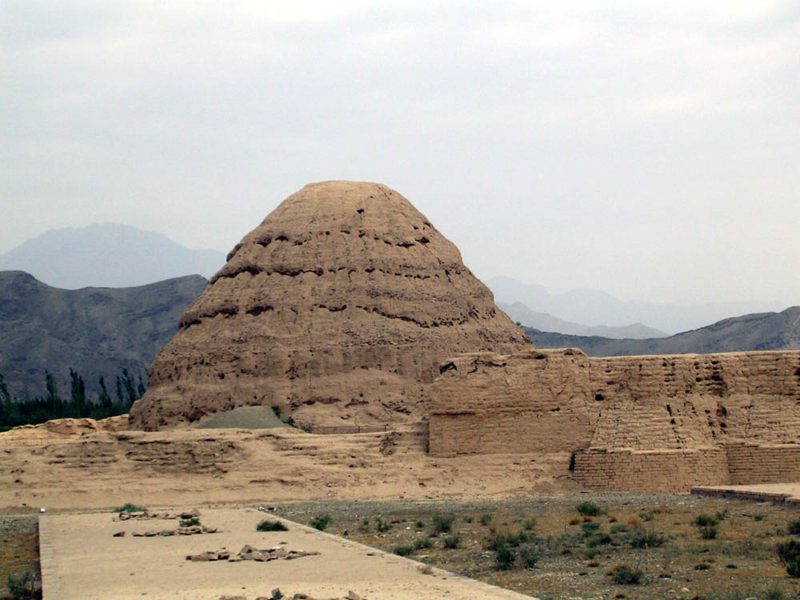 These are some of the only remnants of the Tangut Empire that was exterminated by the Mongols in 1227 CE. Although there are over 200 tombs of varying sizes, only nine of them belonged to members of the Imperial family. The tomb complexes were originally covered with glazed green tiles but in many cases, the tiles were pulled off and the tombs were cracked open. This was part of the campaign to exterminate the Tangut Empire that was carried out by Genghis Khan’s descendents. The Tanguts were a fairly advanced people. The empire was founded in 982 CE, under the rulership of Li Deming. In 1038, Li Yuanhao (also known as Emperor Jingzong) commanded that a Tangut system of writing needed to be created and, after this was accomplished, then ordered that Chinese classics should be translated into that writing system. It took fifty years for the Chinese Buddhist canon to be translated into Tangut. Over time, the Empire developed an organized and efficient military and also became quite advanced in art, literature, architecture and music. The Tanguts also had a strict legal system especially where religion was concerned. It was believed that the Tanguts were Buddhist, although there may have been some people who followed Confucianism as well. A person who wanted to teach was required to be screened by state officials and receive approval from local authorities before he was able to teach in the Tangut Empire. Charlatans and fortune-tellers in particular were persecuted by the authorities. 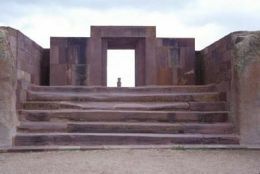 If pyramids were more than difficult to create several thousand years ago, then how much more difficult would it have been to build Puma Punku? Here is the short intruduction of Puma punky ruins, Puma Punku are one of four structures in the ancient city of Tiahuanaco. Another three structure are The Akapana Pyramid, the Kalasasaya Platform, and the Subterranean Temple. It is highly unlikely that any of the stones in Puma Punku were cut using ancient stone cutting techniques, at least not those that we are aware of. 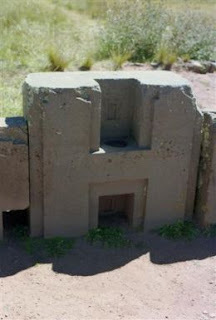 Puma Punku are made up of granite, and diorite, and the only stone that is harder that those two, is the diamond. If the people who built this place cut these stones using stone cutting techniques, then they would had to have used diamond tools. Not only were these stones really hard to cut, but they are also extremely heavy. One of these stone ruins weighs in at about 800 tons! These are gogantic stones, and they are really heavy. The nearest quarry is at least 10 miles away from the site of the ruins.I really do not understand how in the world did these people move these blocks that weighed many tons, and how were they able to form a structure with them? However I never been there before, but I have some basic question remind deep in my heart. Why the Nazca lines never been covered by sandstorm or just a layer of dust after thousand of years? Do someone go clean up the dust out of our radar? There are some scholar went there and experiment by creating their own Nazca line, but within a month or a year the line gradually and end up bury by the sand.